Discounting your game has become one of the surest ways to increase exposure in this crowded scene, but it’s also one of the most contentious. 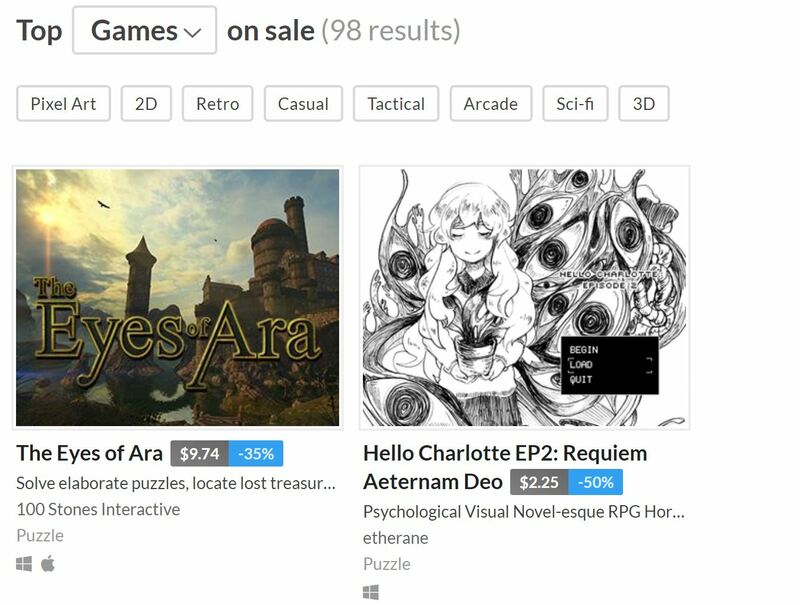 Critics argue that heavy discounting has devalued indie games in the public perception. Proponents of discounting claim that it opens up access to players who wouldn’t be able to afford the games at full price. I think these are both interesting and compelling arguments, but the reality lies somewhere in the middle. What isn’t up for debate are the practical implications of discounting your game. As of writing this, there hasn’t been a ton of research into discount cycles of games outside of talks so the majority of this post comes from my personal experience as a business developer. I will say that in order to understand when to discount your game, you need to know about the lifecycle of your game. So you’ve just launched a game. Congratulations on getting through the marathon that is development. Now’s your chance to wow customers and make a splash. The first two weeks are typically the most important sales window for any game. This is when you’re able to convert any pre-release momentum into sales and stay relevant with press hits and reviews. At this stage you want to launch with a small discount (usually in the neighborhood of 10%) to incentivize customers to buy early and capture anyone who’s on the fence. Once you’re a few months into your game’s lifecycle you know whether or not you’ve got a hit on your hands. If you’re selling millions of units you’re probably going to want some more specific advice so for the rest of this piece we’re going to assume your game is either doing moderately successfully or hasn’t found its audience yet. Now’s your chance to dig into holiday sales and some light discounting. There will always be a group of potential customers who either didn’t hear about your game at launch or were unable to buy your project for some other reason. A solid discount (25-30%) will give people on the fence a chance to jump in. Typically a discount pared with a press push should get your project back in front of people’s eyes and remind them that your project exists. At this point you need to decide what you want to get out of the rest of your game’s lifespan. If you’re interested in building a name for your studio, it’s time to go for the fire sale. If you’re here for the long tale you need to be more judicious. First, let’s talk about what I mean when I say fire sales. If you’re trying to make sure as many people as possible have a copy of your game it’s the time to do the deep discounts. I’m talking 75-90% off. We’re talking pennies on the dollar. To be clear: you’re not going to make a ton of money off of this but if you need to get eyes on your studio or next project, now is your chance. On the other hand, if you need sustained revenue to work on your next project (or make rent) you may want to take a more conservative tack. You may want to work up to +75% off over the course of several months but this is one of the harder things to talk about in a general sense. If your goal is to look at sustained sales, you need to consider maintaining the perception of value of your game. Yes all games have value but it’s important to consider what potential customers think. If something is likely to go on deep discount soon, why would you buy it at full price? Consider the frequency of your discounting and how potential customers perceive your actions. Finally, it’s worth talking about things to avoid as you’re discounting your project. I think one of the key concepts more developers need to consider is cannibalization of sales. Basically, it’s the fear that by discounting a game you’re losing full-priced sales for these lower-priced sales. It’s a really complicated issue that I don’t feel comfortable making blanket statements about this concept but it’s worth keeping in mind as you plan your discount strategy. I’ve done a lot of reading on indie games literature, and I’ll tell prospecting developers right now that one of the worst things you can do for your game is to undervalue it. As Seth Godin says, the instant you start charging money for your project - even a penny - you close the gates for thousands of potential customers. Fortunately this isn’t like the mobile scene where every game has to be a coercive free-to-play title in order to make any impact whatsoever; you can still charge cash and make a quick buck. Nobody knows how to make an indie game a hit, but a lot of people fool themselves for a very long time. Without getting into marketing, one of the surest ways to stand out in a crowd is to price your game as a valuable, though reasonable number: something like $8.95 or $14.45, if not more. Anything higher than $19.95 and you’ll be fighting a losing battle against the cheap bastards who don’t wanna patronise the arts. If you can sell a game for that high, it’s time to get out of the indie slump. Of course, all this is contributing to the artificial scarcity epidemic and damages free culture by making it so only a particular set of people with expendable money are able to play your games. I would advise, for the good of your reputation, to make non-profitable games free after a length of time, say a few months, as well as releasing it as free (and open-source) software for the good of future generations. The world is full of parasites, and being generous to your customers is one of the quickest ways to earn a loyal fanbase, and a loving set of patrons for all.